Your lifestyle habits can affect your oral and general health. Thus it is important to keep away habits detrimental to oral health and promote good habits among children and young individuals. Habits such as thumb sucking, prolonged bottle feeding, finger nail biting, food pouching and biting on foreign objects. could result in problems such as early childhood caries, lip and cheek biting, ulcers, fractured or chipped teeth, abrasion of teeth and malocclusion to mention a few. Sucking on thumbs is healthy and normal in infancy. Most children stop the habit between 2 and 4 years of age. Some tips to help your child give up sucking his thumb/fingers. Bandage the thumb. This changes the character of the finger sufficiently to call the child’s attention to the fact that it is being placed in the mouth. 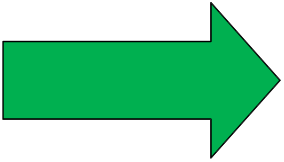 Apply a distasteful agent e.g. quinine or pepper on the thumb. Such things have been used to make the thumb or fingers so distasteful that the child will keep them out of the mouth. Give him lots of praise, rewards and attention when he is not sucking his thumb. Keep his mouth busy by singing a song or playing a musical instrument. Keep his hand occupied e.g. with a toy. Older children often respond to encouragement and explanation of the effect of digit sucking on the teeth. 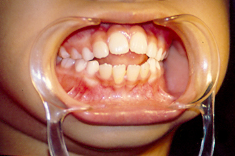 Seek professional advice if the habit persists after the permanent front teeth erupt (7 – 8 years old). Prolonging bottle feeding in young children to more than 18 months old carries a risk of causing tooth decay.Feeding via a bottle takes longer to finish than via a cup and this exposes the teeth to longer acid attack which caused teeth to decay. Acids are produced by the bacterial action in the mouth with sugars in sweetened drinks. As the child grows older more teeth will erupt in the mouth. Prolonging bottle feeding not only exposes teeth to longer acid attack but also causes more teeth to be involved. If bottle is required for feeding a child more than a year old, then only plain water is safe for the content. Do not allow your child to fall asleep with a bottle containing sweetened liquid. After every bottle feeding, take a soft clean cloth and gently wipe your child’s gums and teeth. This will remove any bacteria-containing plaque and excess sugar that may have built up. Start to encourage your child to drink from a cup at six months of age and wean him from the bottle by the age of one. Regular biting of finger nails could cause dental problems such as injury to the gums and malocclusion of the anterior teeth. Know the effect of digit sucking on the teeth.to encourage stopping the the habit. Apply a clear, bitter-tasting nail polish to the nails. The unpleasant taste will discourage you from biting. Finger nails should be trimmed short to reduce the likelihood of nail biting. Behavioural therapy is beneficial when indicated. Biting on foreign objects such as pens and pencils can have detrimental effects to oral health such as injury to the mucosa and gums, chipping or fracture of teeth to name a few. This is a condition where food is kept in the recesses of the mouth (near the cheek) for a period of time before deciding to eat it. This habit is also seen among special needs children particularly those with cerebral palsy. 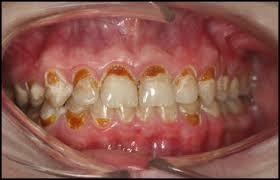 Food pouching increases the risk of developing dental caries and gum disease. Advice on proper eating habits. Ensure food is properly chewed before swallowing without undue delay. Parents and caregivers should ensure foods that are prepared are of the right consistency, not too dry and easy to swallow. Individuals with special needs such as cerebral palsy will need special assistance during feeding to prevent food pouching. Bruerd B and Jones C: Preventing baby bottle tooth decay: eight-year results. Public Health Rep. 1996 Jan-Feb; 111(1): 63–65. Will My Tooth Hurt After Root Canal Filling?